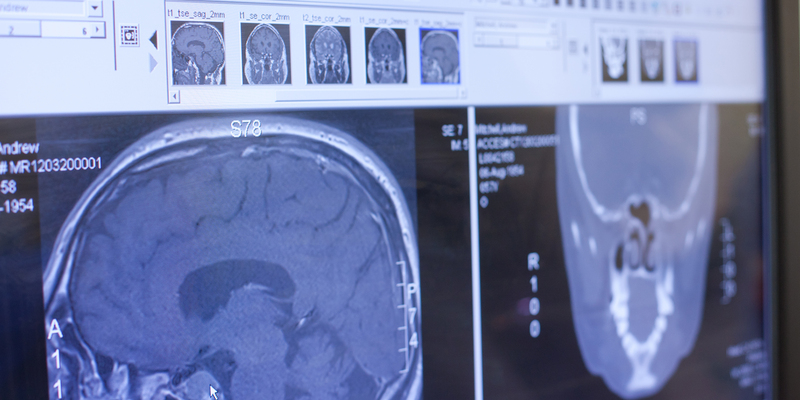 Peter Bullock FRCS MRCP is a leading neurosurgeon based in Harley Street, London. He works with a team of dedicated and experienced specialists at The London Clinic, ensuring the best possible outcome for his patients. 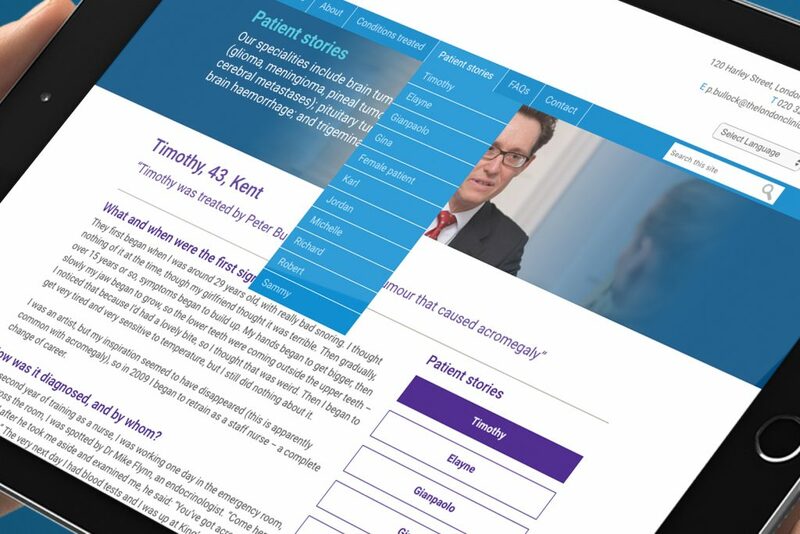 To design and publish a new dynamic website for one of the UK’s leading Harley Street based neurosurgeons. 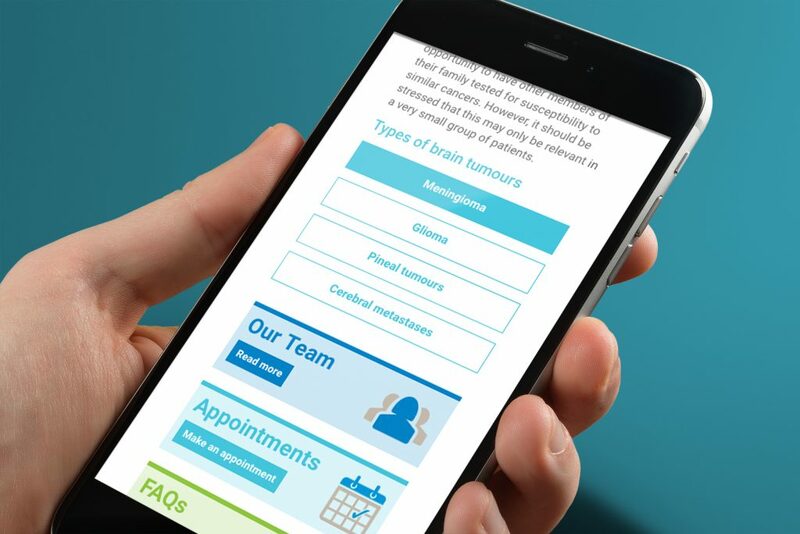 Mr Bullock not only wanted the site to highlight his services and skills to prospective new patients but also to explain the treatment plans for various conditions. He wanted the site to be accessible to potential overseas patients so language translation was a priority. Easy to use booking forms and contact information was essential. We designed and programmed a bespoke 30+ page website. 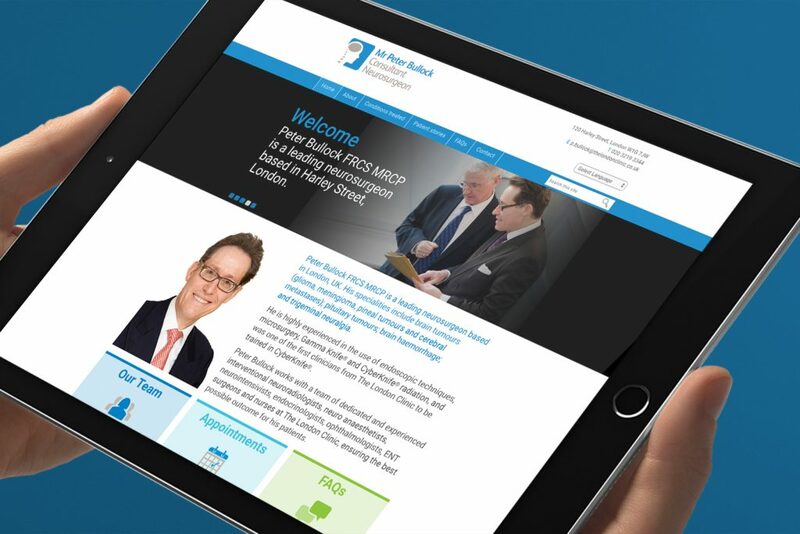 The new look site not only features an extensive biography of Mr Bullock and the services he offers but also features a set of case studies and video links to previous patients. 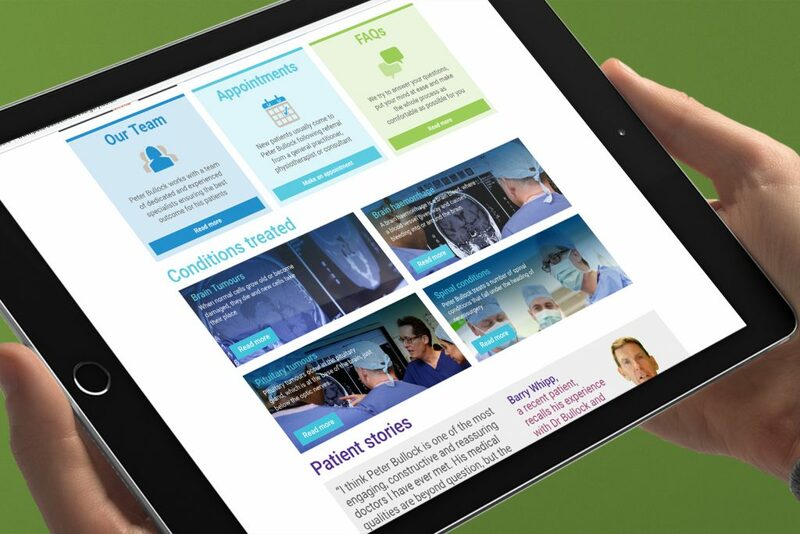 A translate feature enables the site to be read in numerous languages – key for patients visiting from abroad. Other features include an interactive booking form, location maps and team member biographies.